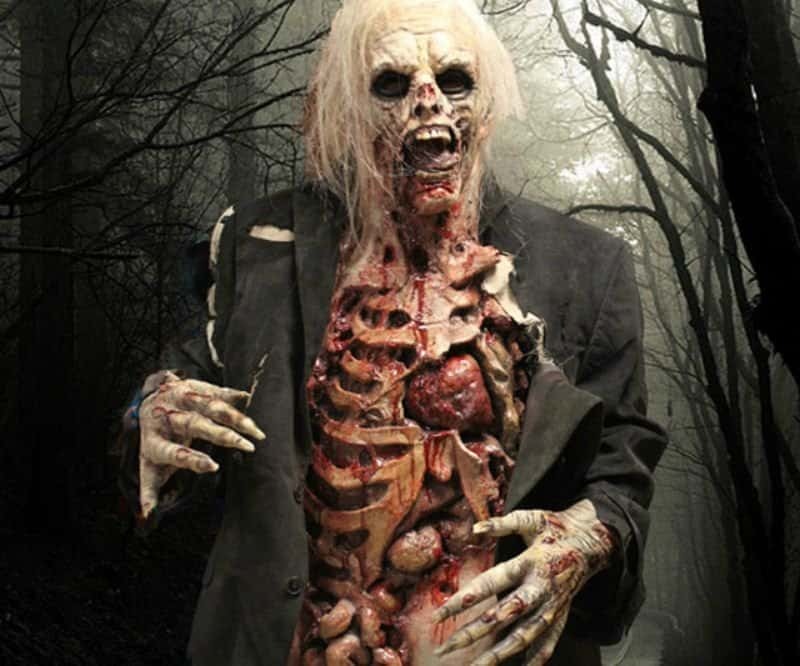 The season premier of the spin-off of The Walking Dead, Fear The Walking Dead, is airing in about a month, so it is time to celebrate and look at some of the most shocking and gruesome zombie gifts out there. You are going to want to have these on hand, whether to decorate your own home or give as gifts to guests or hosts. Some of these great zombie collector pieces are shocking themselves, and for some it’s simply the price that is shocking! 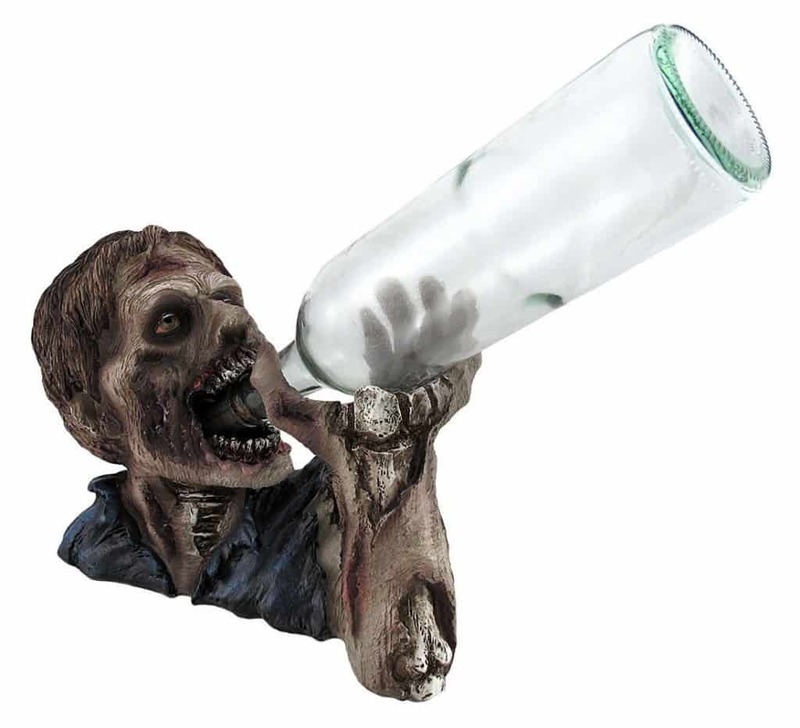 You can find this awesome zombie wine bottle holder for $23.15 on Amazon. 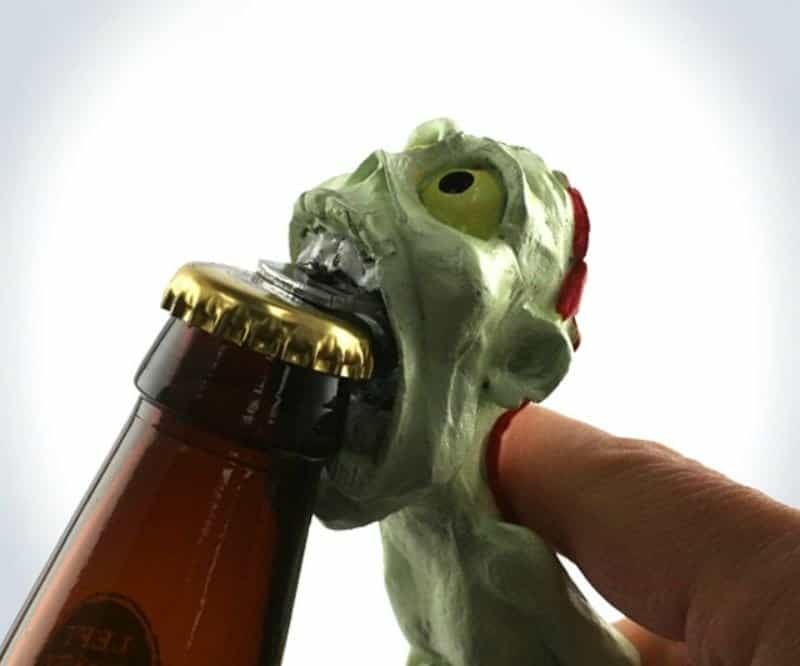 Who doesn’t want to have a zombie drinking their wine? 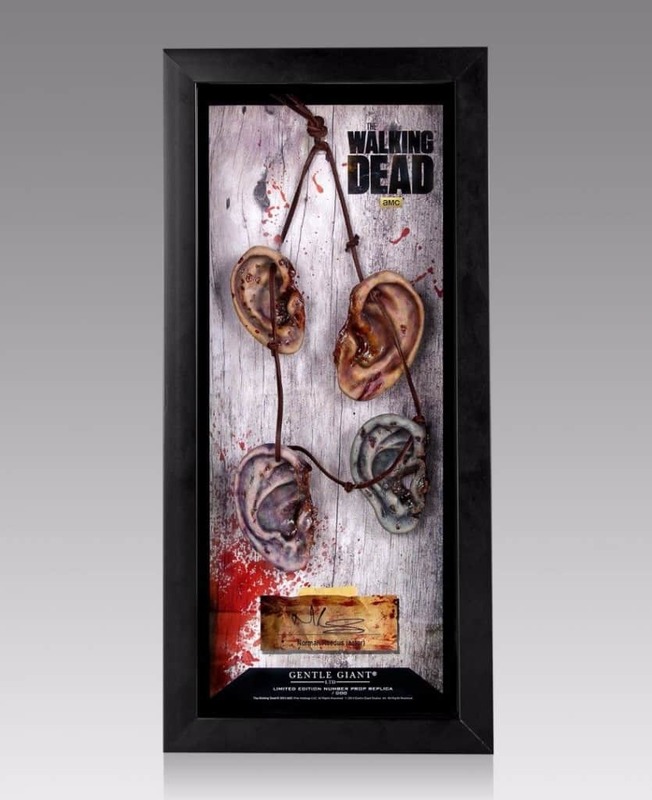 For fans of The Walking Dead, this Daryl Dixon Ear Necklace is a great collectors item, for a whopping $94. For others it’s just plain gross. For the host, this is the perfect costume to where at your own Zombie party. It is a movie quality outfit with a hefty price of $299.99. 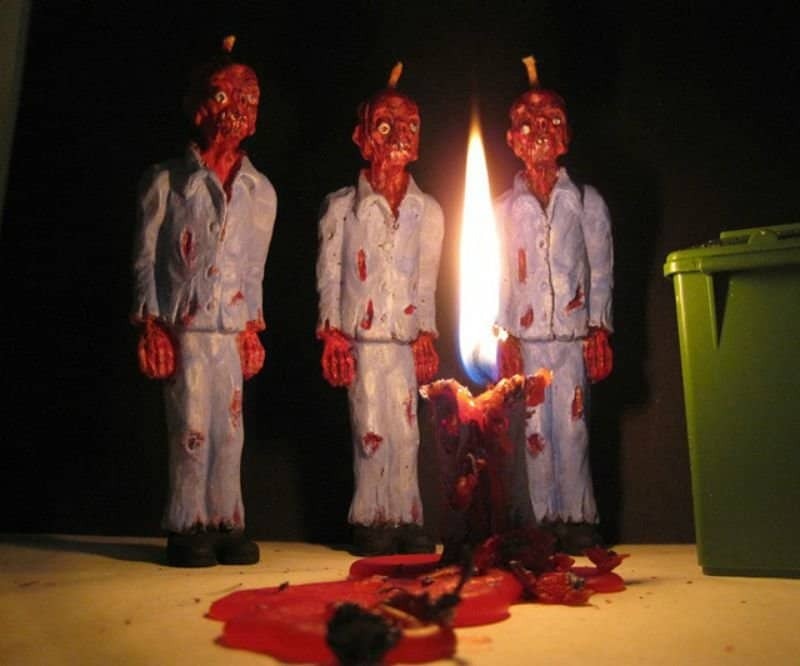 Gruesome bloody melting zombie candles are a must have at only $15 each. They will make your party complete. 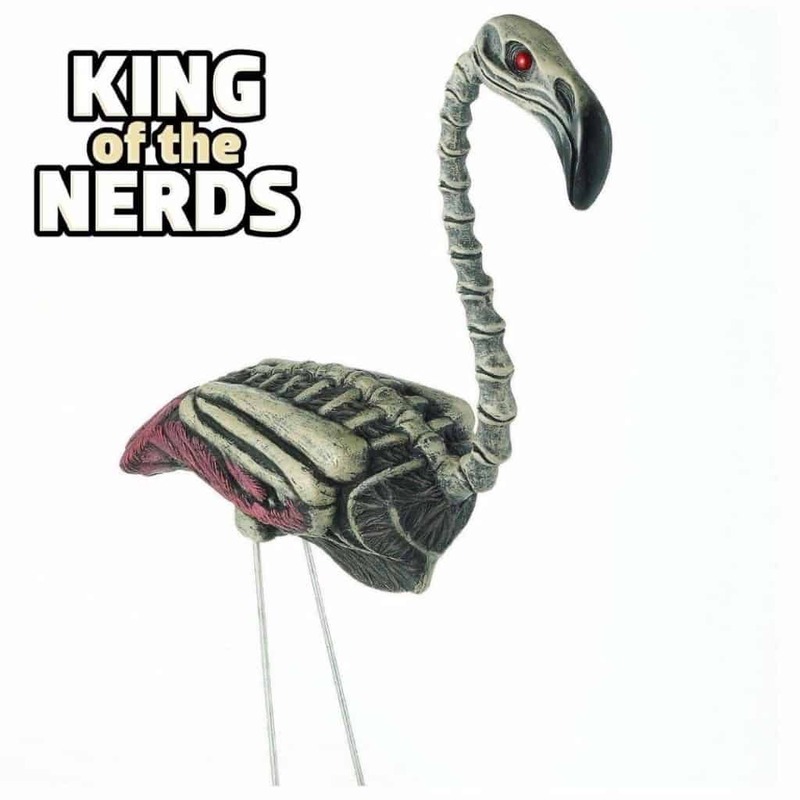 For $9.99 on Amazon you can replace those silly pink flamingos with zombie flamingos to greet your zombie premier guests before they even get in the house. 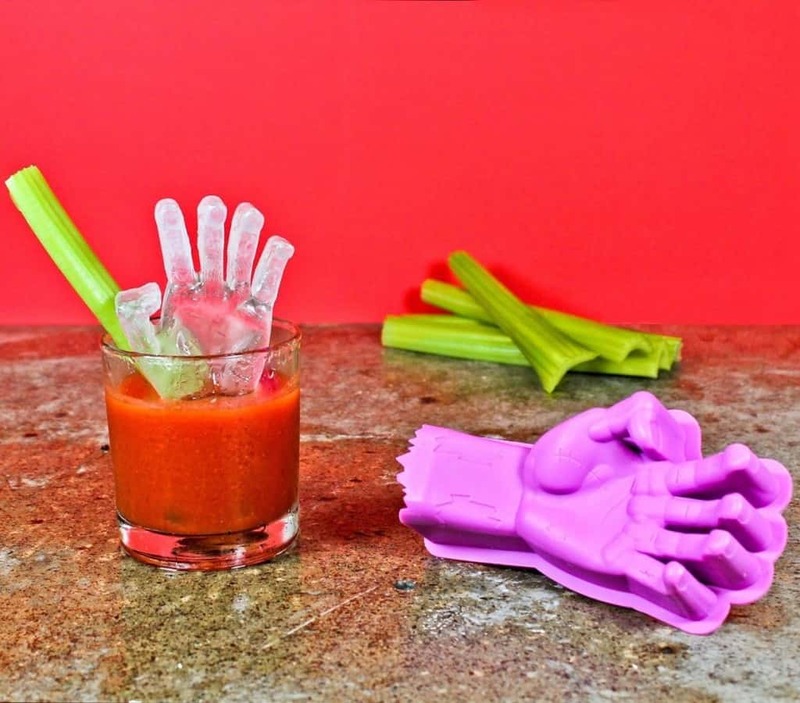 For under $10 you can have an icy zombie hand in your mixed drinks. This is a great party gag. 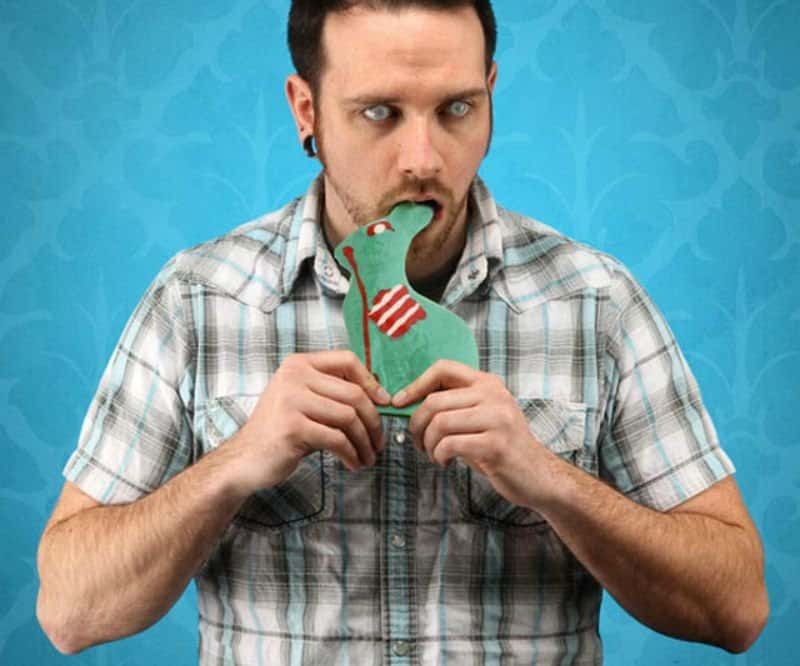 It doesn’t need to be Easter to enjoy a yummy chocolate zombie bunny, for only $9.99. 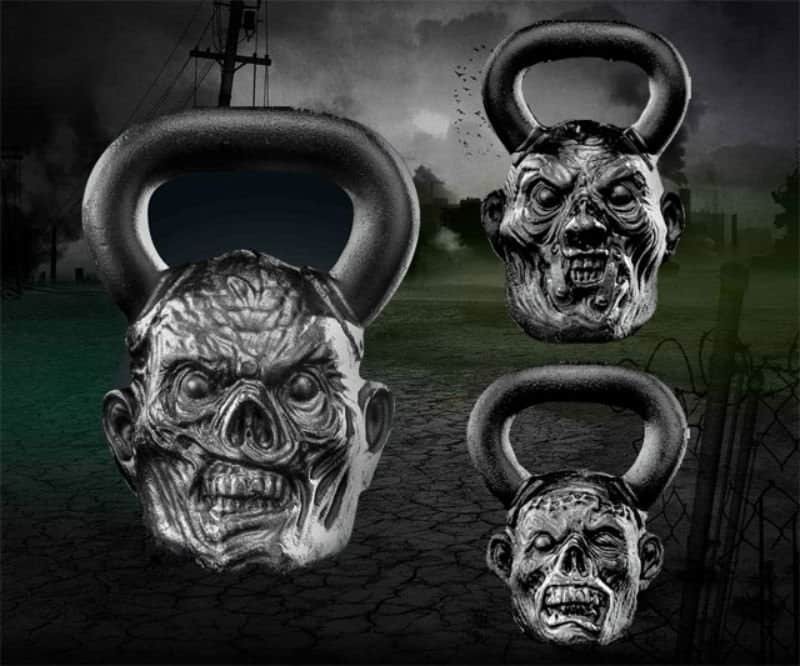 While it’s unlikely your guests will be working out at your zombie-fied party, you may want these great kettle bells for your pre- and post-party workout, for around $50 each. Smell like a zombie for $20+. 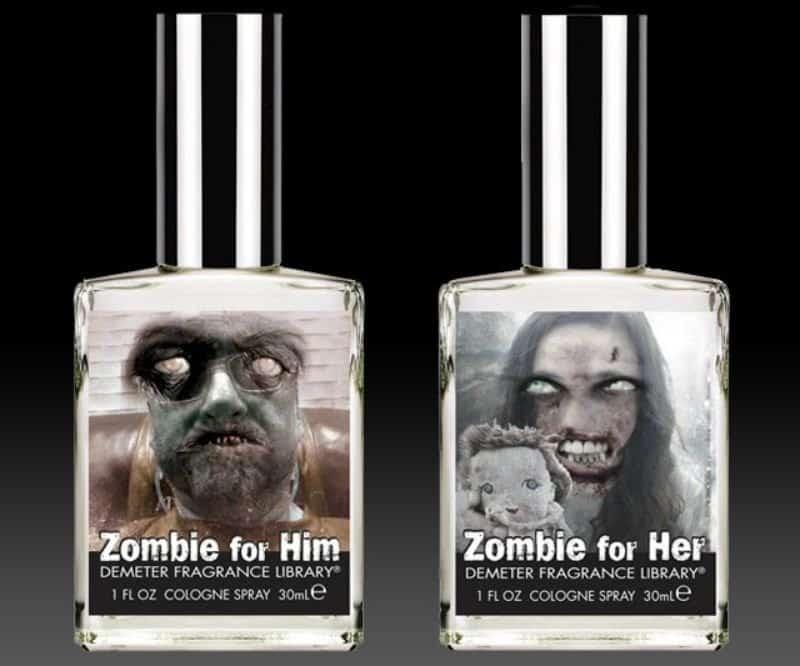 You probably only want to wear this cologne when you are dressed like a zombie, and stay away from armed people. For $35 your legs can look like they have the worst road rash ever. Wear them to work once and see what happens! If you plan to have a zombie shootout at your celebration, why not celebrate Zombieland with this bleeding zombie target for $82.90. If your party takes you away from the house before the show starts, why not go bowling with a severed head? 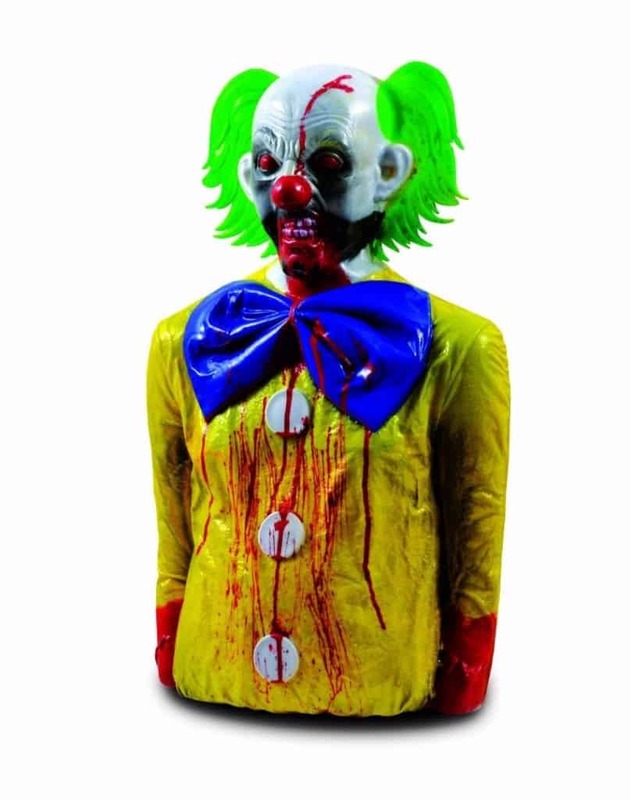 It’s only $80+ for a great zombie head bowling ball! 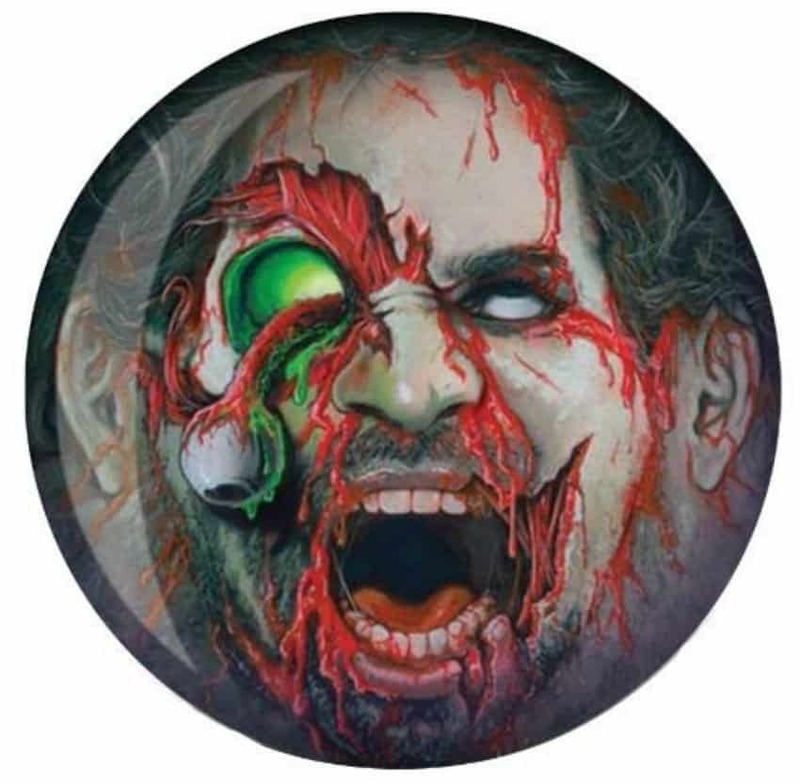 For $200 or less on Etsy you can get a custom zombie portrait to hang on your wall and help you feel like you are really a part of The Walking Dead. Most people want to get the stains out of their blood stained sheets, not display them proudly. 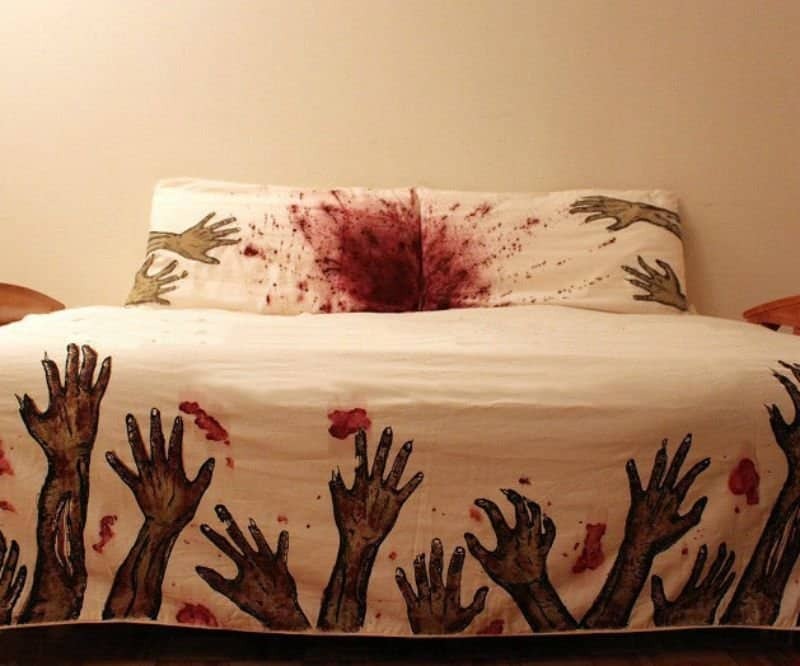 This set of bloody zombie sheets starts at $130. 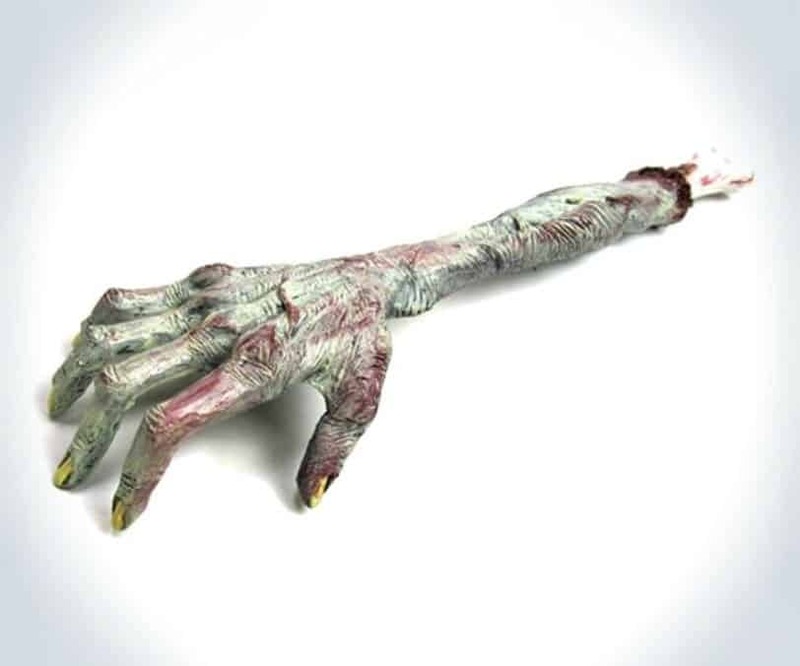 You can get a helping hand with this zombie back scratcher for just $24.95. No party is complete without a bottle opener for the beer and hard cider drinkers. 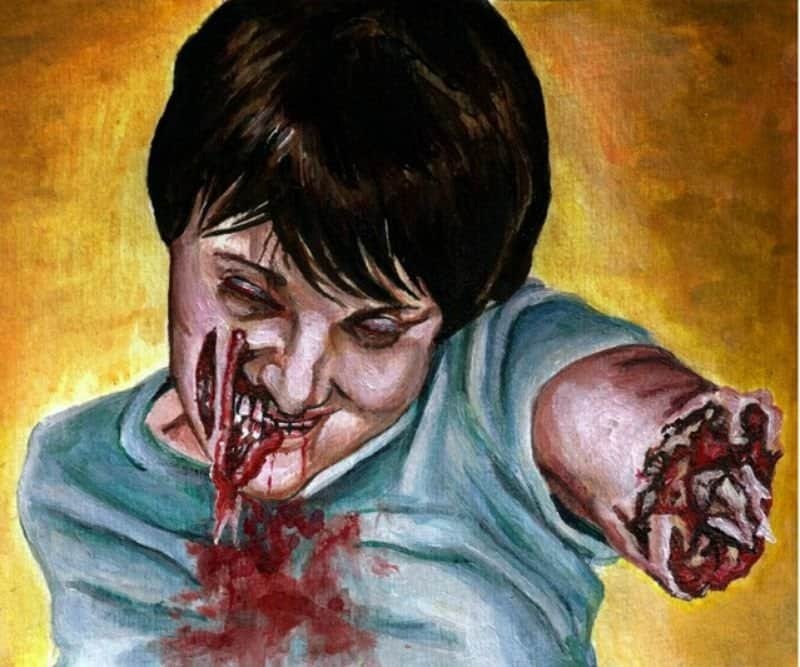 This gruesome yet awesome zombie one is only $12.95. 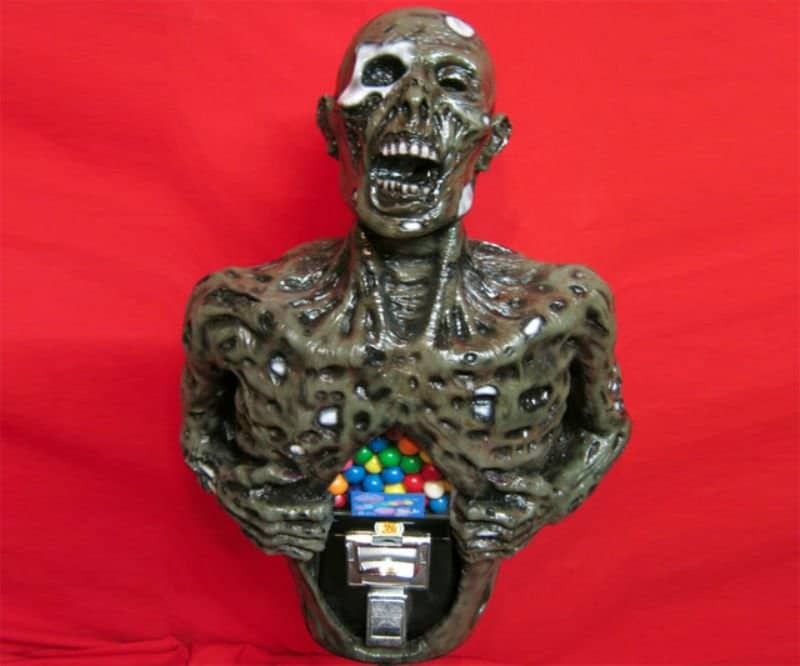 Who would want to eat a gumball that came from the stomach of a zombie torso? Only someone that can afford the $650 price tag! 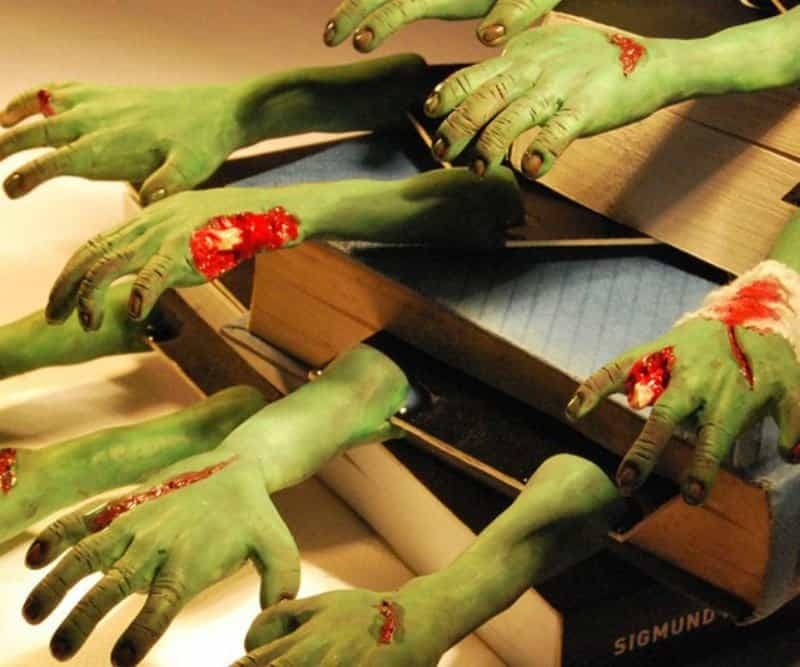 These gruesome bookmarks from Etsy would make great placeholders for your horror novels or even for guest gift bags at your zombie-themed party! 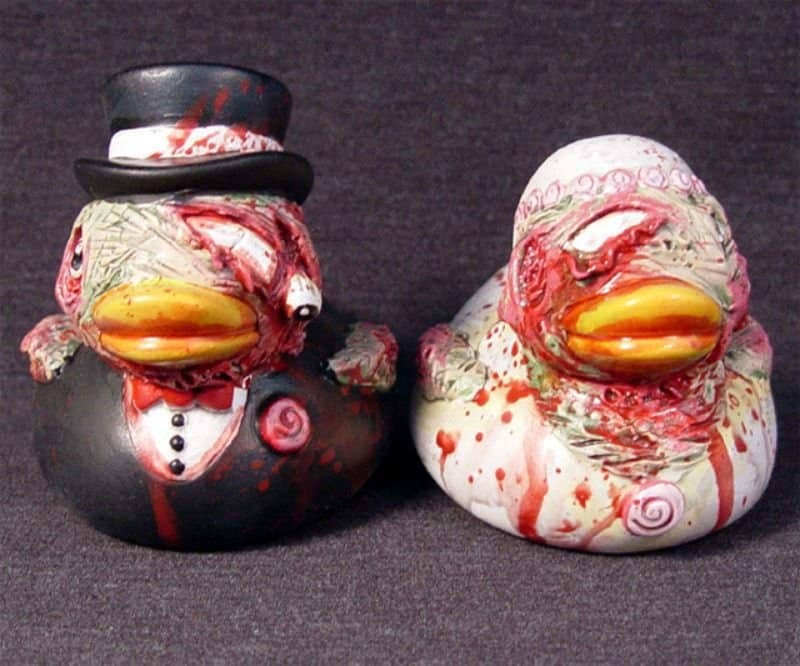 One of the cutest, and grossest, zombie items are these rubber duckies. You can even find a zombie Santa one! 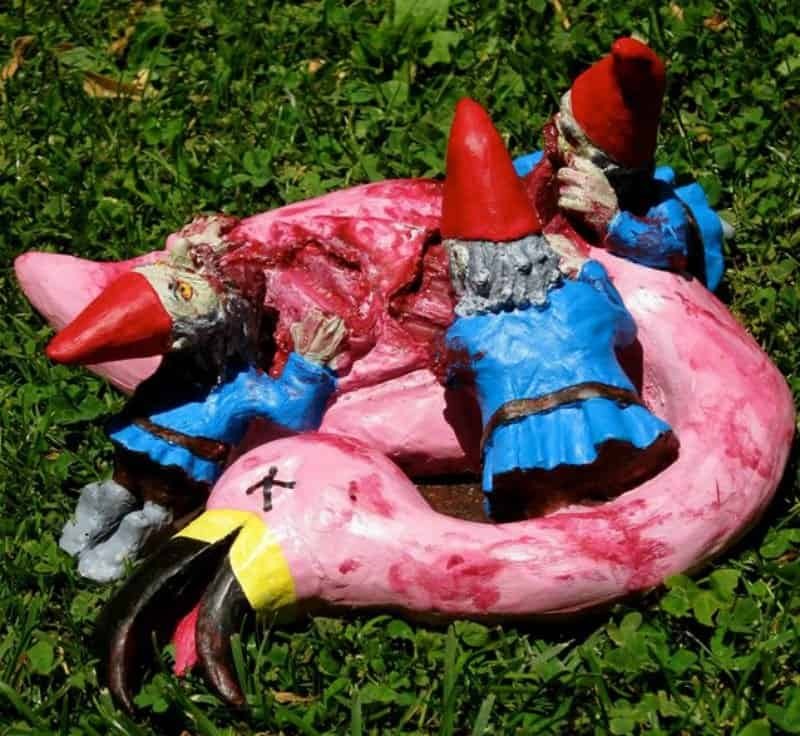 Last, but not least, you can have the pre-cursor to that zombie flamingo with this yard art, for $37, that depicts zombie garden gnomes devouring a pink flamingo.